Barker: Will NBA drop the ball on sexual harassment? Decision is expected this week on probe of workplace culture with the Dallas Mavericks, but it is more than concerning that the NBA allowed the team to hire its own investigators in the matter. On almost every level, the NBA has been the most socially progressive of the four major sports leagues. It was the first to have an openly gay player when Jason Collins joined the Nets. It was the first to employ a woman as a full-time assistant coach when the San Antonio Spurs hired Becky Hammon. It was the first to use its financial muscle to make a bold statement of inclusiveness when it pulled its All-Star Game out of Charlotte after North Carolina passed anti-LGBT legislation. And it was the first league since 1943 to ban an owner for life, after recordings surfaced of Clippers owner Donald Sterling making racist comments in 2014. Despite all of this, the NBA has fallen short when it comes to the #metoo movement. The question is whether that will change in the next week when the Dallas Mavericks reveal the results of an investigation into a workplace culture that was likened to a “real-life Animal House” in an article on the franchise in Sports Illustrated in February. At the Board of Governors’ meeting this month, commissioner Adam Silver said the Mavericks have told him they expect to complete their investigation by the end of July. What remains unknown is whether those results will be shared with the public and what punitive steps, if any, the league will take against the team and owner Mark Cuban if the investigation finds that he was complicit in creating a hostile work culture for women. One former employee, Melissa Weishaupt, believes he was. Weishaupt was one of the women who anonymously detailed her harassment in the story. A month later, she put her name to the accusations, writing a first-person column in Sports Illustrated. 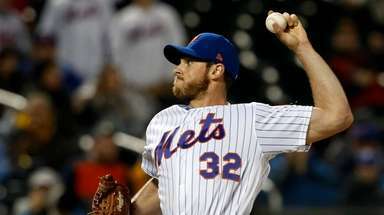 “I am using my name because I am convinced that Cuban still doesn’t recognize the culture he’s helped create or the plight of the women who still work for him,” Weishaupt wrote. From the outside, the Mavericks appear to be doing some things that show they are serious about addressing this problem. 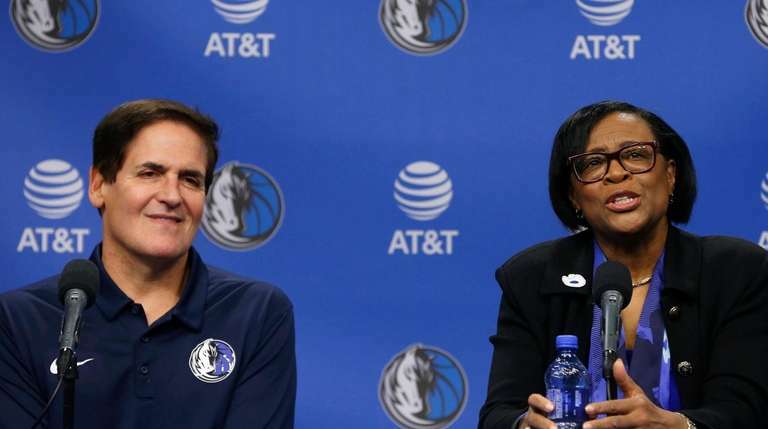 A week after the report came out, the Mavericks hired former AT&T executive Cynthia Marshall to be its interim CEO and help clean up the team’s culture. Last week, the team hired former WNBA coach Jenny Boucek as an assistant coach, making her the third full-time female assistant to be hired in the league. And during the past week, the team announced that the Dallas Mavericks dance team will wear less revealing uniforms and perform less provocative routines. “We want the focus to be on the dancers as artists and to highlight their skills, not be eye candy or sexualized,” Marshall told The Dallas Morning News. The question is how much of this is window dressing. While I particularly applaud the hire of Boucek, I am much more inclined to blame poorly behaving men than scantily dressed dancers for the problems in the organization. It’s hard to be completely comfortable with the fact that the league let the Mavericks hire their own investigators rather than investigating the situation itself. While it’s true that the two East Coast lawyers that the team hired are highly respected, how independent can an investigation be when they are investigating the people paying them? This is a league that has done a lot for women. It’s hard to fathom now, but there were a lot of raised eyebrows 22 years ago when the NBA launched the WNBA. Now it’s the gold standard of women’s professional team sports, and a whole generation of women and men cannot remember when there wasn’t an option to play professional basketball in the United States. What’s more, Richard Lapchick’s Institute for Diversity and Ethics in Sports at the University of Central Florida consistently ranks the NBA as the “industry leader” when it comes to gender hiring practices. Yet Silver has been curiously patient in the wake of the Sports Illustrated report, waiting for the result of an investigation that has taken more than five months. Yes, the league has established a hotline for employees who feel harassed and sent memos to the human resources department of teams. But I’m not sure that’s enough. One of the most dramatic news conferences I ever attended was in 2014, when Silver banned Sterling for life. On the job only a few months, Silver was decisive and swift, rendering the punishment only three days after Sterling’s racist comments were published by TMZ. “The views expressed by Mr. Sterling are deeply offensive and harmful,” Silver said at the beginning of that news conference. If even half of what was in that Sports Illustrated report is true, quite a few women were offended and harmed in Dallas. What the league does about it — whether it is willing to punish one of its most high-profile owners — will say volumes about how progressive it really is.